Dr. Heavenly Kimes admits she may have been born with one of the best possible marketing tools imaginable. A dentist with four practices in the Atlanta area, the married mother of three says many of her clients have flocked to her because of her name alone. In the dental “blessingâ€ business for more than 12 years now, pulling in an estimated $4 to $5 million a year (down from about $11 million before the market crashed), the Meharry Medical School graduate said she had originally planned on becoming a doctor — until a more attractive offer came her way. “There was a recruiter who came to my school to talk about dentistry,â€ says Kimes. “He made dentistry sound so rewarding because as a woman I knew I wanted to be married — I wanted to have kids … and he made it seem like I could do that because I wouldn’t have to do a long residency. I could set my own hours rather than being on call as a medical doctor. Because of that I said, ‘Hmm, let me look into this dentistry thing,’â€ she explains. The change of heart paid off — despite managing a staff of twenty people — including six associate dentists, an oral surgeon and an Orthodontist — Kimes works only two days per week in a clinic. The rest of her work she’s able to do from home, including paying all her own bills. 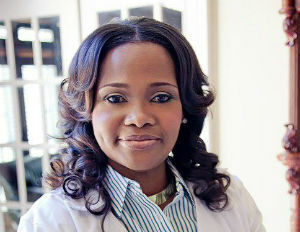 And despite the considerable number of other black female dentists in the area Kimes has managed to carve a niche out for herself as both a practitioner and as an entrepreneur. It helps that with the help of her husband — a board-certified physician who co-signed for her first practice loan as she worked at improving her credit — she has bought a total of seven clinics in the Atlanta metropolitan area, three she purchased at the point of near bankruptcy, with the sole intention of flipping them. Kimes says achieving great success as a small business owner is also possible through word-of-mouth referrals, consistently good customer service, and more aggressive marketing strategies, like book sales. She says she wrote her advice book, “Heavenly’s Business Prescriptions: You CAN Have It All!â€ primarily for aspiring women entrepreneurs. She said for starters, she recommends facing your fear of failure head-on by taking classes on that which you do not know. She says education, preparedness and an equally ambitious and supportive partner has been her key to having it all.